Questions have been asked, for example, about friendships between Australian politicians, including a former Defence Minister, and Chinese nationals or expatriates with connections to the Communist Party (CCP). Alarms have been rung about alleged cyber-intrusions into various systems, up to and including a Prime Minister’s email account. It has even been suggested that agents of the Chinese state stole the blueprints for the new Australian Security Intelligence Organisation (ASIO) building in Canberra, plans that included details of the location of servers, among other things. In 2017, these stories multiplied rapidly, culminating in a series of major reports compiled the Australian Broadcasting Corporation (ABC) and the Sydney Morning Herald (SMH). In June that year, the ABC’s Four Corners program detailed various alleged attempts by Beijing and by Beijing-linked individuals to gain influence over serving and retired politicians through campaign donations, gifts, and promises of lucrative post-parliament directorships. In this fractious climate, constructing a working consensus for Australia’s policy towards China is proving difficult, and at a very challenging time, with Donald Trump in the White House and Xi Jinping consolidating his grip on power in Beijing. The airing of this report had significant consequences. Most obviously, it ended – for now, at least – the political career of one of the Australian Labor Party’s key powerbrokers in New South Wales, Federal Senator Sam Dastyari. Not only was Dastyari shown to have accepted money from a Beijing-linked businessman to pay a debt, but he was also caught on film contradicting his party’s and his country’s policy on the PRC’s claims in the South China Sea. It also led to serious questioning of campaign financing, especially the lack of a bar on donations from foreign individuals and entities, and the appropriateness of senior ministers being employed by businesses immediately upon retirement. The case of Andrew Robb came in for particular scrutiny: the day after stepping down as Trade Minister, having recently concluded a free trade deal with Beijing, he was given an A$880,000 a year job with Landbridge, a firm said to have close ties with the People’s Liberation Army. The Four Corners and SMH revelations had one further effect. Inadvertently, perhaps, they polarized the Australian debate about how best to manage Beijing and its demands. They appear to have undermined the work of cooler heads within and outside government trying to build a new consensus to advance a more robust China policy – a policy informed by the mounting evidence of Beijing-driven interference discussed in those media reports. This polarization process has recently been exacerbated by the publication of a book by the academic and polemicist, Clive Hamilton: Silent Invasion: China’s Influence in Australia. Controversial before it even appeared, the book was dropped by its original publisher, Allen and Unwin, allegedly because of fears of legal action by some of those discussed. In the main, Silent Invasion summarizes material already reported, including evidence of apparent interference discussed in various media outlets by Hamilton and others, including his Chinese-speaking collaborator, Alex Joske. The book is useful in that respect: it draws together the various strands of stories into one volume, providing a sense of the totality of alleged Beijing-sponsored interference and influence operations in Australia. What lets it down, however, as its title suggests, is the tone. Silent Invasion aligns with Hamilton’s long-standing preference for hyperbole – his other books include Scorcher: The Dirty Politics of Climate Change and Requiem for a Species – but whether this approach fits with an issue of this seriousness is questionable. In any event, Hamilton’s labeling of Australians with Chinese interests as “apologists” and “appeasers” or “fifth columnists” and “capitulationalists” has provoked sharp responses from his targets. Former Prime Minister Paul Keating, now a senior advisor to the China Development Bank, has called Hamilton a “nincompoop”, to the delight of Chinese state media. Another former PM, Kevin Rudd, has accused Hamilton – and the current government, to boot – of indulging in “McCarthyism”. Business figures like Andrew “Twiggy” Forrest, whose mining company Fortescue has profited considerably from trade with China, was even blunter, telling Hamilton and other critics of Beijing’s behaviour that they were paranoid and immature. Hamilton’s treatment of notable Chinese Australians, some with alleged ties to the CCP’s notorious United Front Work Department, has also generated ire. In a submission to Parliament about changes to foreign interference laws, thirty prominent China specialists have warned against creating the impression that all or most people of Chinese origin should be seen as proxies for Beijing. And while Hamilton takes pains in Silent Invasion to assure readers that he has the best interests of the Chinese Australian community, now more than 1.2m strong, at heart, Australia’s Race Discrimination Commissioner, Tim Soutphommasane, has also warned that the arguments he makes could stoke racism. The PRC’s Embassy in Canberra, for its part, has gone further, accusing Hamilton of ‘racial bigotry’ and of harbouring a ‘malicious anti-China mentality’. In this fractious climate, constructing a working consensus for Australia’s policy towards China is proving difficult, and at a very challenging time, with Donald Trump in the White House and Xi Jinping consolidating his grip on power in Beijing. 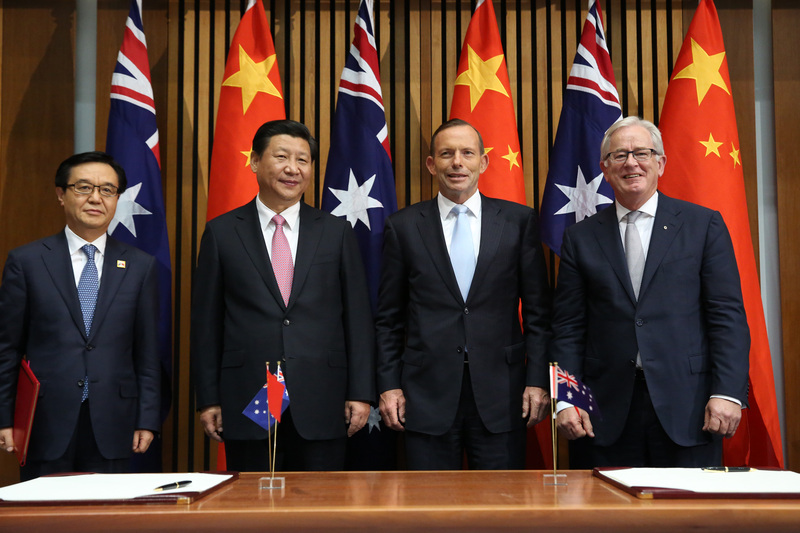 There is no agreement about basic issues, especially on the PRC’s intentions towards Australia and the wider region, and on how Canberra ought to respond. 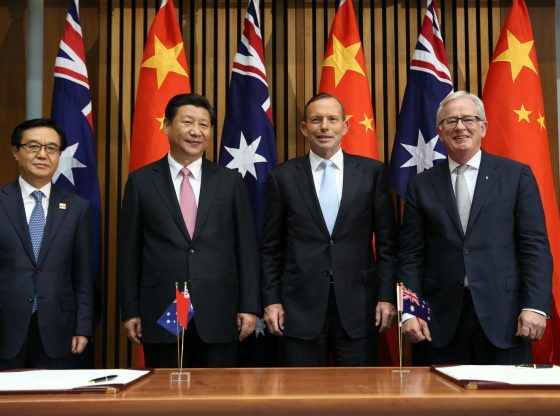 The political elite is divided, and the gap is widening between the strategic policy community’s increasingly concerned assessment of Beijing’s behaviour and the business community’s desire to see Canberra avoid anything that might disrupt commercial ties. Things might have been different. A few days before the Four Corners programme aired in June 2017, two highly respected Australian-based China watchers, Linda Jakobson and Bates Gill, published a book, China Matters: Getting it Right for Australia. Sponsored by both government and prominent businesses, the book and the China Matters think tank was intended to try to construct a China consensus with a realistic account of China’s hard and soft power, and the economic risks and opportunities it presents. It may yet succeed, but much work will have to be done by that and other bodies, if Australia is to move beyond the rancour of the past year, and build the confident and concerted policy it needs to manage the challenge China poses to it and the region. Ian Hall is a Professor in the School of Government and International Relations and member of the Griffith Asia Institute at Griffith University. He tweets @DrIanHall. Image Credit: CC by Department for Foreign Affairs and Trade. To comment on one matter only, disgraceful Dastyari’s faux pas over the debt does not reveal the breadth or depth of China’s interference in Australian politics anywhere near as much as it reveals the paucity of moral rectitude at large in Australian (and other) politics. The lack of moral fibre in clowns such as Dastyari, and the others mentioned in the article, also points a gnarled, and accusatory, finger at the pathetic grab for power that characterizes the current imbalance between the so-called ‘state’ and the individual. No sympathy for traitors.